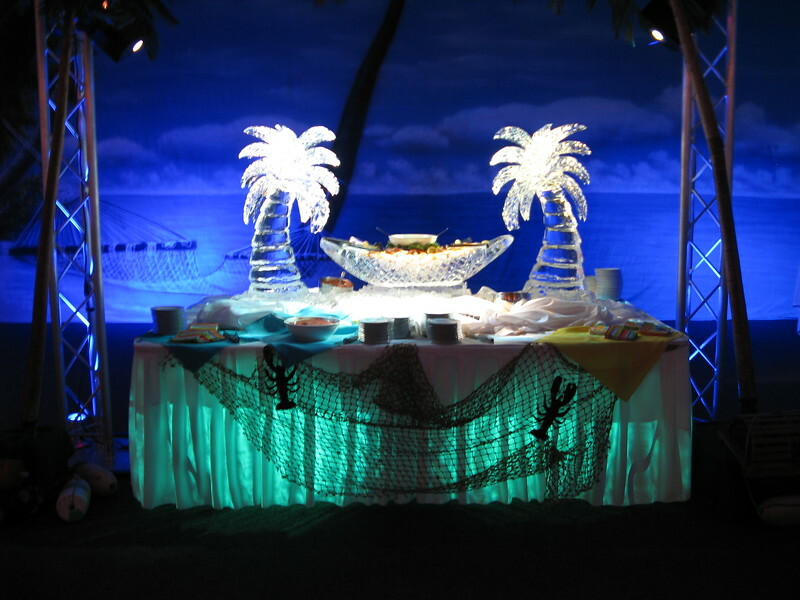 Beach Themed Birthday- The ice carving of palm trees holding a hammock is filled with shrimp. The table is lighted from above as well as underneath. The beach backdrop in the background highlights the ice and the fisherman's net on the front helps to carry the theme. Ice carving by Ice Matters. Lighting by Awesome Audio.